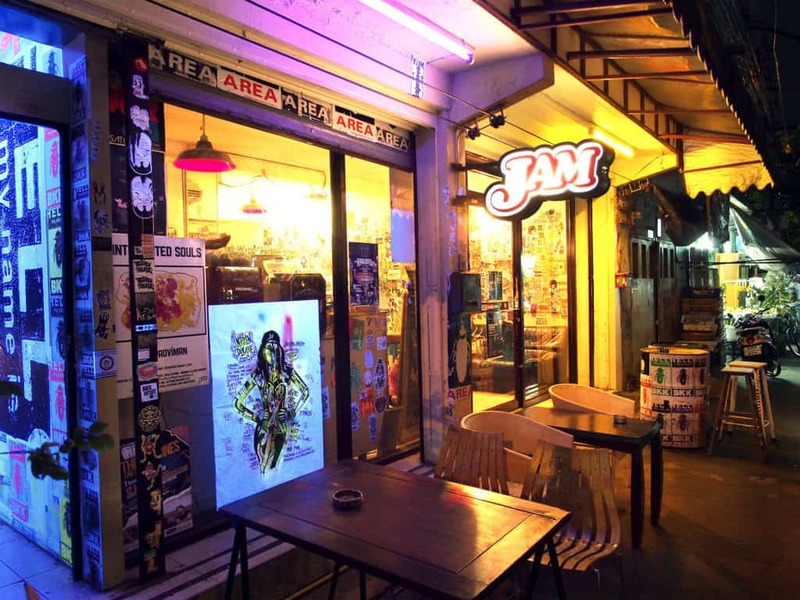 Jam is one of Bangkok's hidden local venues. The venue features a bar, art gallery, underground music, contemporary performances and a small cinema. It is a cool little place for anyone looking for alternative arts and entertainment in Bangkok. Watch until you have seen Jam. It is one of Bangkok’s hidden local venues. The venue features a bar, art gallery, underground music, contemporary performances and a small cinema. It is a cool little place for anyone looking for alternative arts and entertainment in Bangkok. The place also shows independent films and movies Special cinema nights with drinks and Thai food are also on the calendar. The clientele is a mixture of local Thais and westerners but all that are involved are passionate about art in all of its forms. The owners are incredibly hospitable and you will be welcomed as part of the community even if you visit the first time visiting. Definitely, you must go and see the place on the outskirts of Bangkok if you are a creative sociable traveler or visitor to Thailand. You also might wanna check out these Bangkok places.